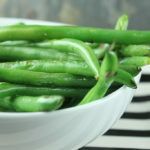 I know what you’re thinking…how can a site dedicated to all things Paleo even include a recipe on green beans – a legume! Aren’t legumes forbidden? What is this madness?! The whole reason why legumes are eliminated from a Paleo diet is because of the negative components of the plant. These include the phytates that bind to other nutrients and make them less available for your body to use. Legumes, in general, also have proteins (like lectins) that can be damaging to your digestive tract and gut bacteria. Although many beans contain high amounts of these anti-nutrients, green beans really don’t. They’re also quite nutrient-dense. They’re a great source of many micronutrients including vitamin C and magnesium. As always, aim for local, organic and in-season beans. Your local farmer’s market or grocery cooperative are great places to look for these tasty vegetables. Give up the canned green beans for a more upscale, mouthwatering option. 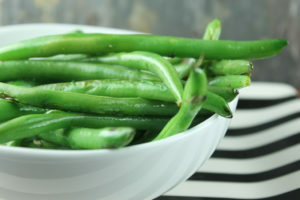 Get some early spring snap beans, and roast them at high heat for a green bean experience you won’t soon forget. 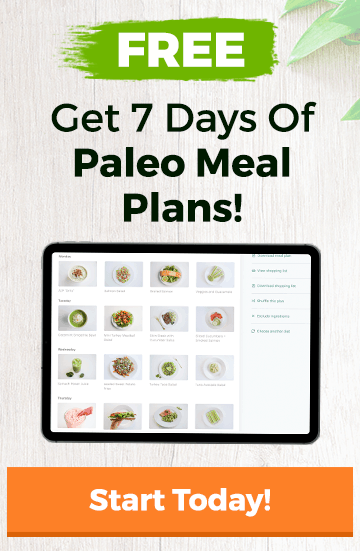 They’re incredibly versatile so they can be paired with virtually any protein source for a delicious, well-balanced meal that will leave you feeling completely satisfied. Toss the beans with the oil, lemon juice, salt, and pepper. Lay on a baking sheet in a single layer. Roast until browned and tender for 30 minutes, flipping once halfway through. Serve hot with your favorite dish.